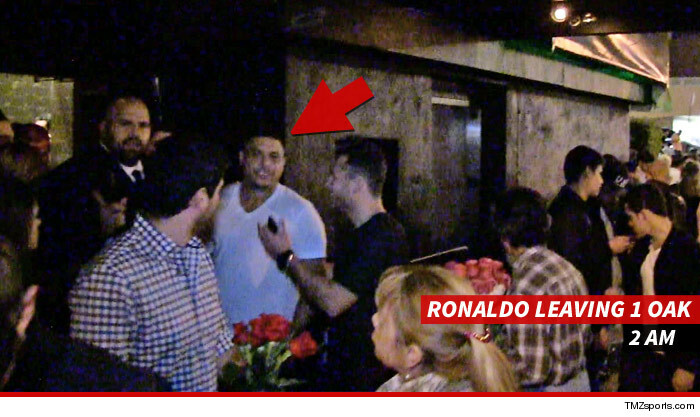 Ronaldo started off at Ago Restaurant in West Hollywood — where he told us he was in town for both business and pleasure. So, what’s the business side of things? We asked if he’s pursuing a career on the big screen, to which he replied (in Spanish) … that he’s thinking about it. Moments later, the 38-year-old World Cup champ rolled on over to 1Oak nightclub on the Sunset Strip … and partied until the club shut down at 2AM.